The K Lazy Three Outfitters has been a member of MOGA and wilderness outfitters for over 25 years. We offer family pack trips. We feature small groups with personal attention. We have a permanent tent camp on Meadow Creek in the Scapegoat Wilderness. We specialize in excellent meals and lots of western hospitality. 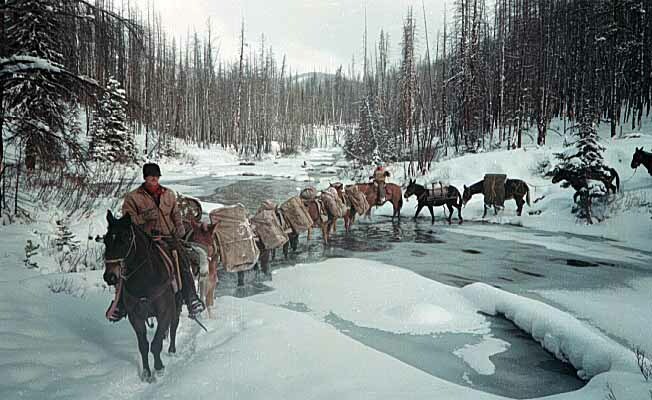 Tailored trips by horse and mule into Montana's high mountain lakes and streams for native cutthroat trout. We are featuring: Ladies Night Out, two days and one night for ladies only (call for details).